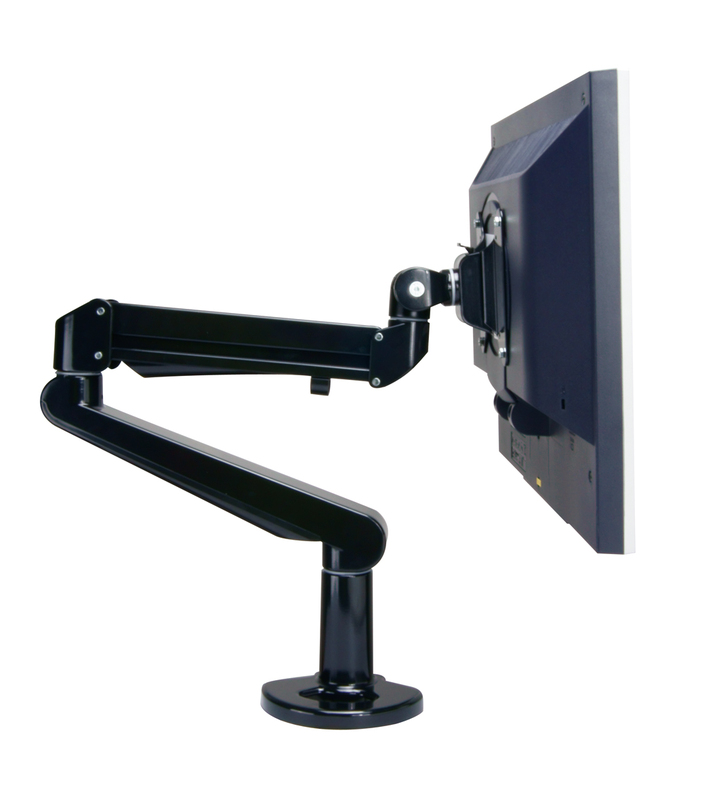 VESA Compatible: 75 x 75 mm and 100 x 100 mm. 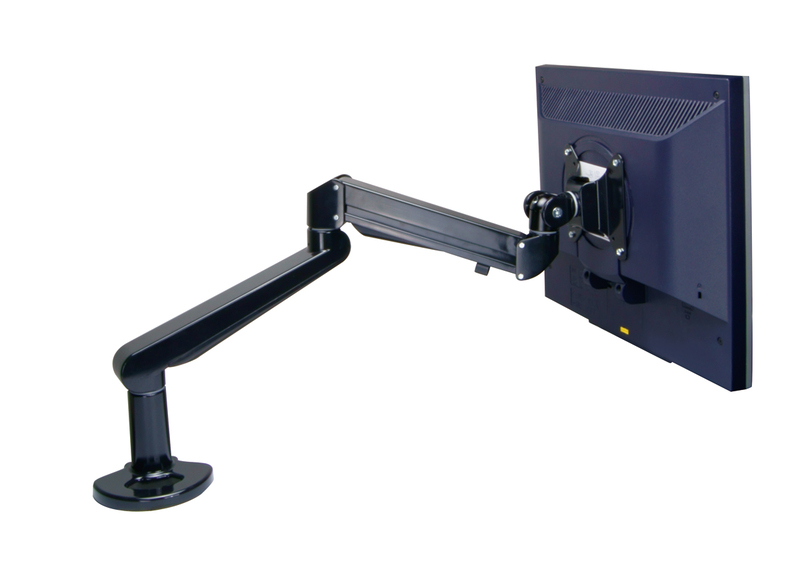 Suitable for tabletop thickness from 16 mm to 56 mm. Length fully extended: 518 mm. 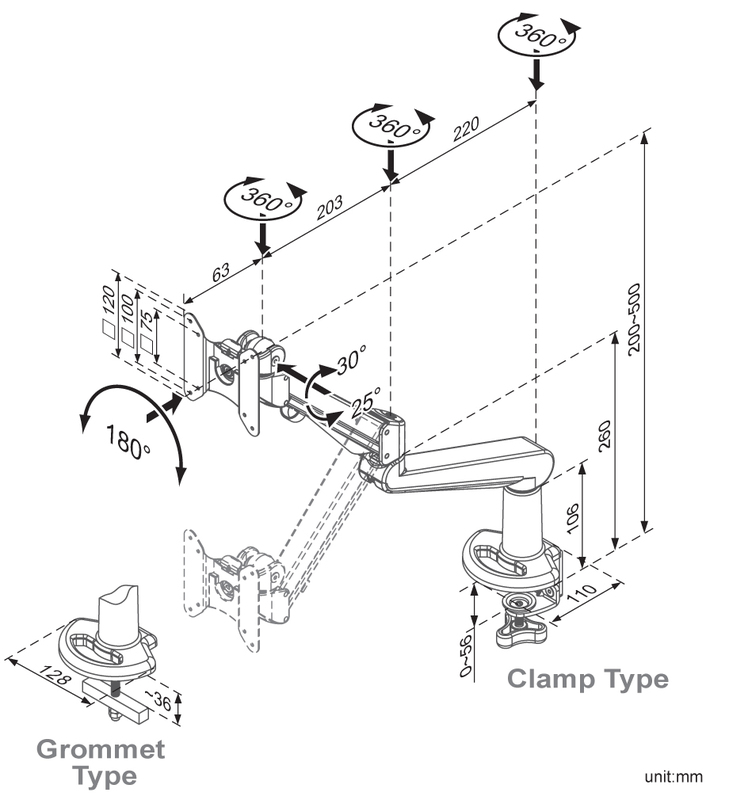 Hardware for grid EA-119 available upon request. 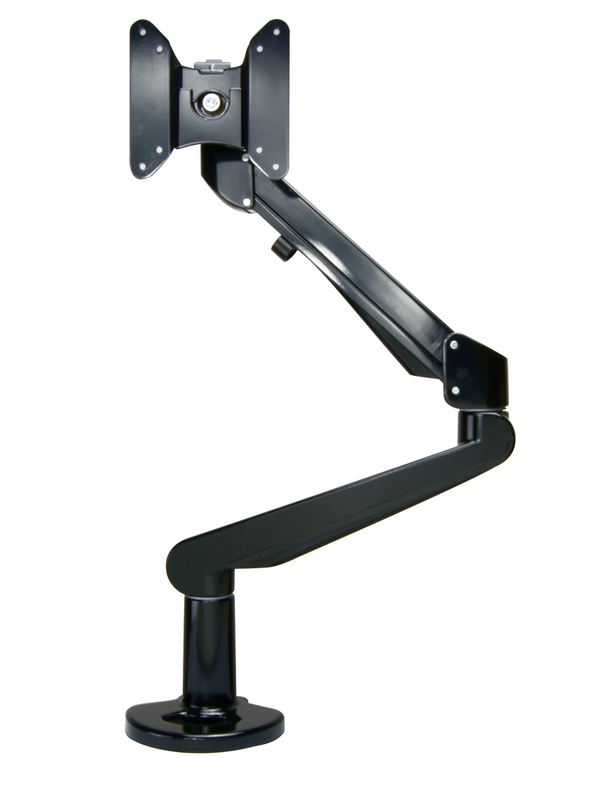 This monitor arm CPA11B is an elegant monitor arm in white that combines strength with ease of movement. 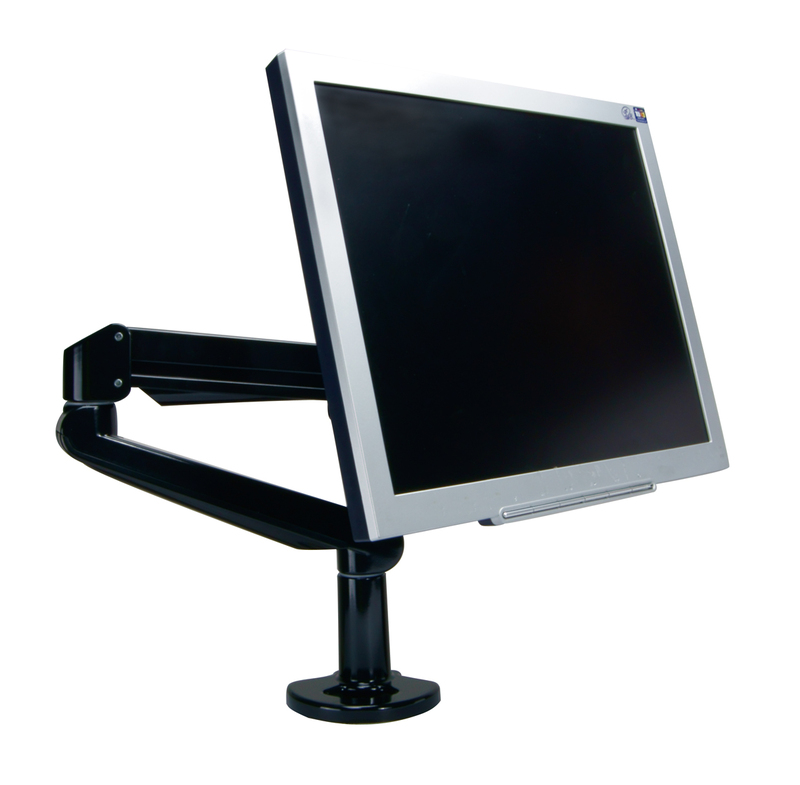 Thanks to an internal gas strut, it gives the users fingertip control over monitors that weigh up to 8 Kg.